The war for streaming dominance is about to heat up. In what amounts to a massive bet on streaming entertainment, the Walt Disney Company announced Thursday it had reached a deal to acquire most of 21st Century Fox's assets, meaning it will add a huge new catalog of movies, shows, and television channels to its already enormous content arsenal and allow it to compete in earnest with the likes of Netflix, Amazon, and its tech giant rivals. Somewhere, Mickey and Minnie are clinking glasses of champagne. The megadeal, which is valued at more than $52 billion, will give the iconic media company control over a huge swath of the Rupert Murdoch-helmed conglomerate including its movie and TV studios. However, the acquisition does not include Fox News, the Fox broadcast network, and the sports cable channel FS1, which Murdoch plans to spin into a new company according to a report by The New York Times. As consumers continue to ditch cable in favor of over-the-top media services like Netflix and others in the ever-expanding field of players in the streaming space, Disney has been shifting its business strategy accordingly. Earlier this year, it announced that it will remove its films -- including Star Wars and Marvel titles -- from Netflix in 2019 and launch a series of proprietary streaming services of its own to showcase them. 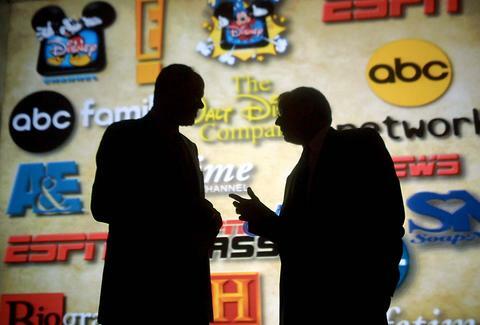 It's worth noting that Disney already owns a ton of hugely prolific and popular content producers, including Pixar, Lucasfilm, ABC and ABC News, and ESPN, but the Fox deal will allow it to create an even bigger walled garden to cash in on. The House of Mouse will also now control 60% of streaming giant Hulu when it takes over Fox's stake. There's no indication as to how this all might affect your binge-watching in the short term, and the deal does still need to by approved by regulators, but it should freak the hell out of Netflix, especially since its non-original content offerings are already pretty lean. Though if all goes as planned, it's very likely you'll soon be forced to fork over even more in subscription fees to watch your favorite stuff from the Disneyverse.